Last week, I shared how to make some delicious amaretto sugared cranberries. These beautiful sugared cranberries are a delicious addition to desserts or just as a tasty snack by themselves. They would also make a beautiful gift! 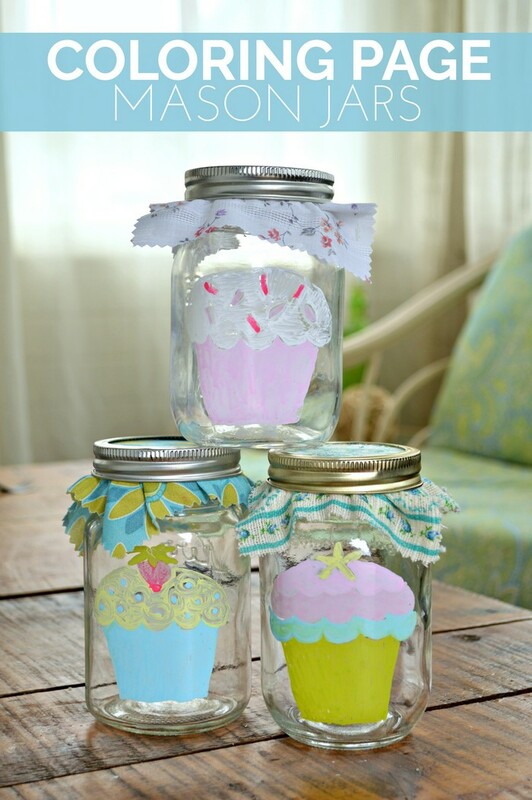 I am joining with a few of my blog friends to bring you a week of DIY gifts in jars, so check back each day for more fun tutorials. There are two schools of thought when it comes to storing sugared cranberries. The first says to store the berries on the counter. This method keeps the sugary coating crisp, but the cranberries will only be good for 2-3 days. The second way to store the berries calls for an airtight lid and a spot in the refrigerator. This method keeps the berries fresh for about a week but softens up the sugary coating. I came up with this pretty decorative mason jar technique that will accommodate either of these storage methods. 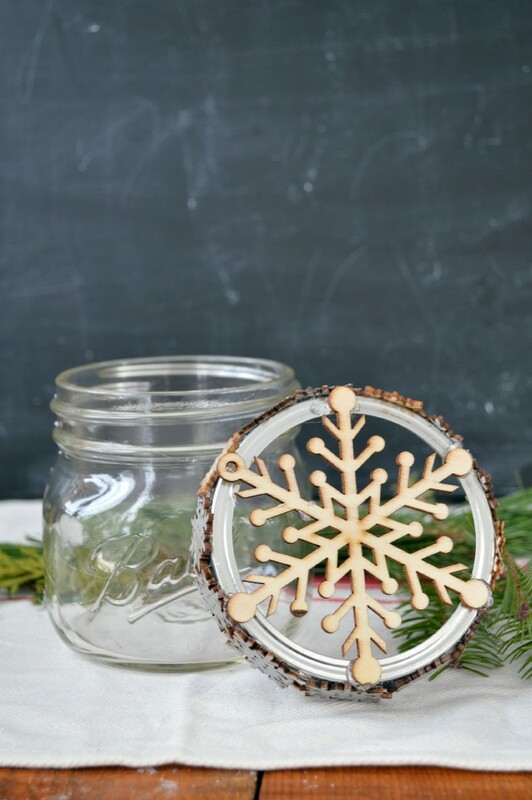 I decorated my jar lid with a wood snowflake ornament that was the same diameter as my jar lid. 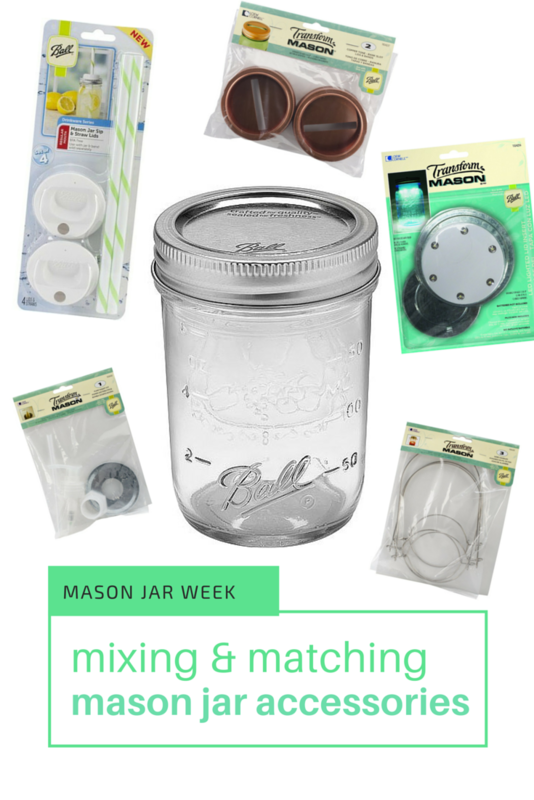 You can use any shape cutout, as long as it will allow air to get into and out of the mason jar. I started by hot gluing small wooden snowflakes around the band of the lid. I had snowflakes on hand, but you could use other shapes or even ribbon or washi tape. 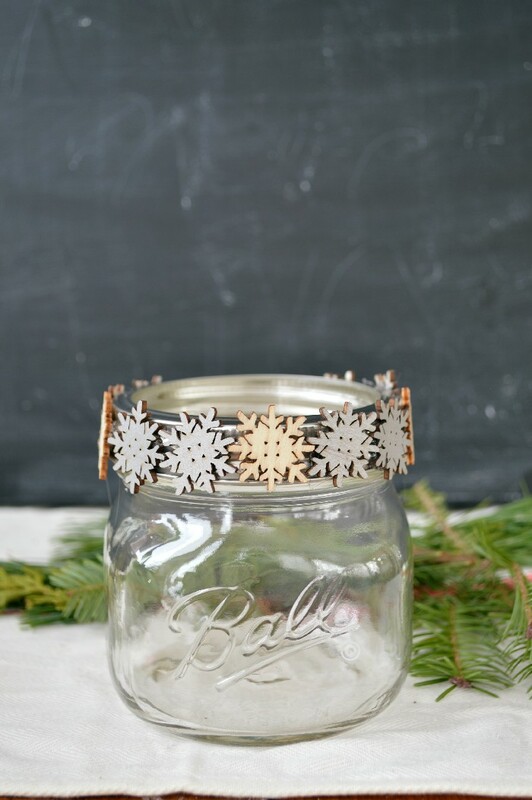 Next, I hot glued a wood snowflake to the top of the lid band. I tried to clean up as many of the hot glue strings as possible for a cleaner look. All that is left to do is to add in the delicious sugared cranberries. 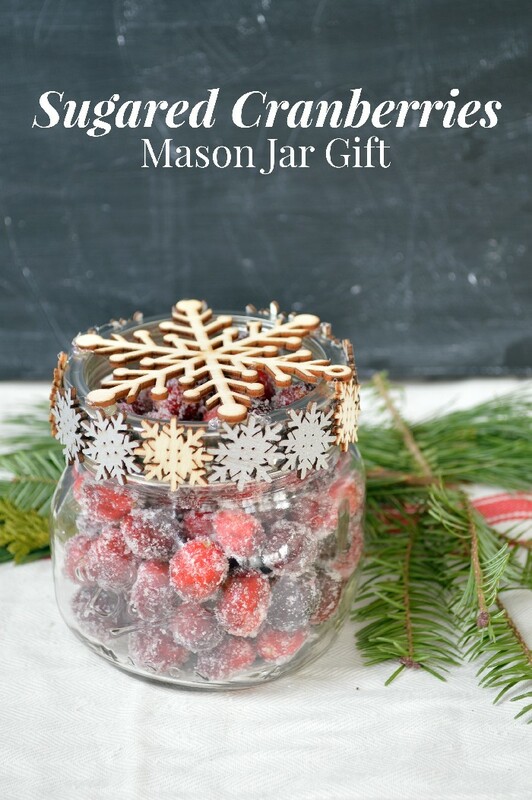 When you give the gift, you will obviously want to add the lid insert before tightening the lid band onto the jar. 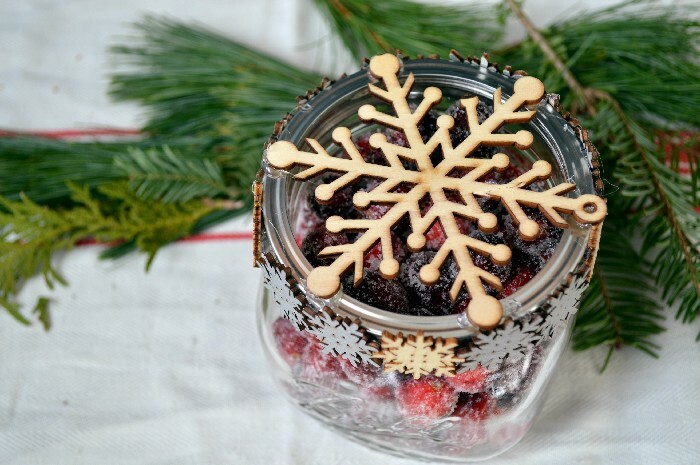 Then when you give the gift, you can explain the two ways to store the cranberries in this pretty jar. 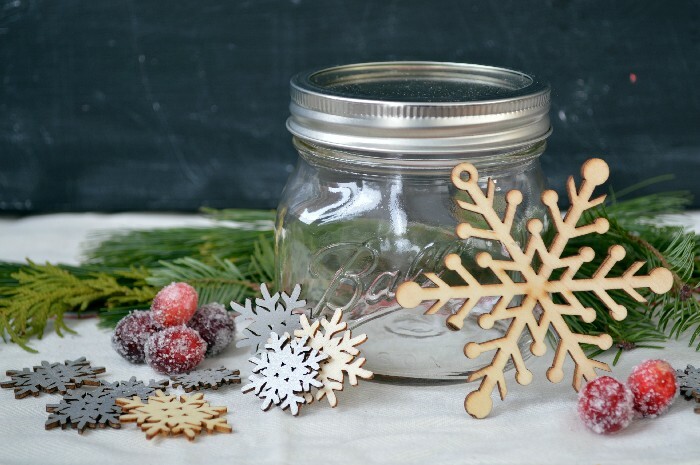 You could use this same jar technique to create a natural air freshener for your home too. Just replace the fabric from this tutorial, with the jar lid from this project! What a great idea, Jessica! I would love to give as well as receive this! Super cute gift idea! I love that my children can help me create these for their teachers. Adding your idea to my Christmas gifts to make Pinterest board for next year!